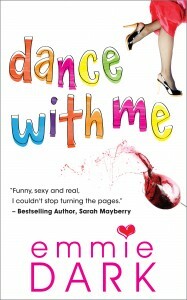 I’m so excited to be able to reveal the cover for my October release novel, Dance With Me. Dance With Me is a full length romantic novel that tells the story of Polly and Josh and their journey to find themselves and each other. I’m also incredibly humbled and grateful that the amazing Sarah Mayberry provided a cover quote for the book. Dance With Me will be out mid-October — I’ll be back with more info soon!